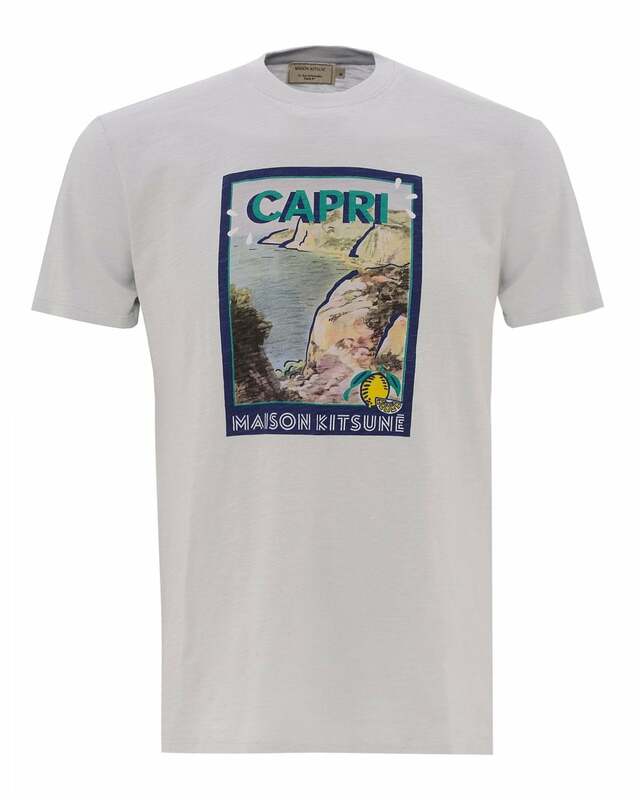 Inspired by vintage postcards and posters, this t-shirt is cut from a soft-touch cotton that allows for both comfort and style. Featuring a thick ribbed neckline, the 'Capri' flock print mixes modern styling with vintage graphics. This tee is definitely a summer essential.